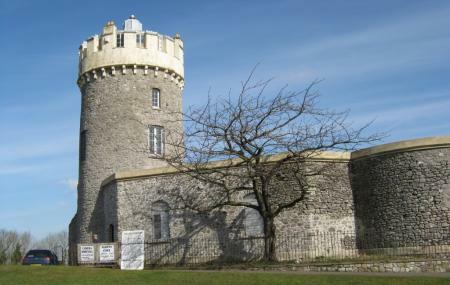 The Clifton Observatory which once was used as a mill in the area today is one of the best attractions in the area. Located at 337 feet the place has a spectacular view of nearby places and is located close to Clifton Suspension Bridge. The caves in the area also are very famous for its look and steepness; the caves are a magnificent place to take photographs. Ticket prices and other tariffs can be known locally. Percival Road (N-bound) and Christ Church (W-bound)are the nearest bus station and you can get a bus from there. How popular is The Clifton Observatory? People normally club together Bristol Museum & Art Gallery and The Circus And The Royal Crescent while planning their visit to The Clifton Observatory. Had some time on my hands today and was in Bristol close to the bridge, took walk up to the observatory. £4 entry fee to go up tower and down the cave. Well worth it. The Giants Cave is very exciting but also a little claustrophobic. Very much enjoyed our visit. Lovely views when the weather is nice. Excellent place to view the suspension bridge and River Avon. You can enter the observatory £2.50 and go down through the caves - 130 steps and come out at the side of the cliff onto a balcony. The outer bit is open grid so you can see right down. Slightly nerving but it's strong and steady. Pay £2.50 and climb to the top of the observatory for a obscura camera, but this was out of order today due to it being wet and overcast. We visited the Observatory but didn't go in as it was such a wonderful day!. There were some construction works being carried out when we were there. Great position to view the Clifton bridge. Lots if information inside about the observatory. The cave had very steep stairs going down and a bit slippery. A brave experience for some.